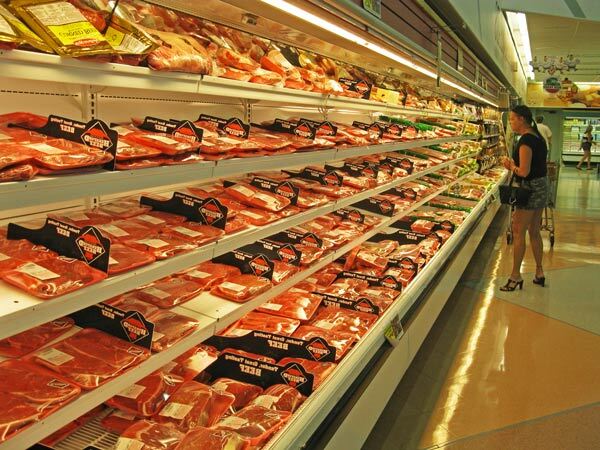 The most expensive meats are purchased at huge local grocery stores. This habit of purchasing is attractive and convenient. Customer enhancements include small sizes, flashy promotions, special light effects and bright colorful packaging. Pricey meats are promoted in “bite size” packages. As food gets higher, portions get smaller. Consumers often purchase more than once a week causing the dollars to appear less per trip, but actually, the opposite happens when considering long term family food costs. Store displays often provide products from dozens of countries, all with less sanitary production than the USA. Even with Country of Origin laws it is still difficult to identify the source. Some labels say, “Product of Mexico, Canada and USA.” A ground beef product could mix lean frozen trim from Australia, 40% fat could be added from Canadian feed lot steers and include a pinch of USA product. That is how it can, and does work. All Natural safe foods for important families. Longhorns Head to Tail Store (LHT) is simple and economical in an otherwise confusing global food system. All LHT meat products are raised and grown naturally in Ohio. No hormones, steroids, growth implants or unnecessary antibiotics are used. 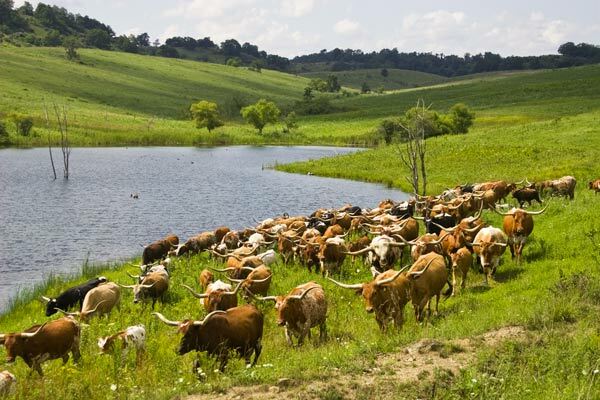 Cattle are free range grazed, drink spring water and eat abundant native Appalachian grasses. Simple, old fashioned, healthy and good. Halves of beef are available cut and wrapped in single portions. The vacu-wrap, air tight, fast frozen process seals flavor and prevents freezer aging. Each half of beef comes in 11″ X 12″ X 21″ boxes. (Normally 4 boxes per half) A half beef is 6 to 7.5 cubic feet. This fits easily into a 6.8 cubic foot freezer sold by most appliance stores for $155 to $180. The cost for freezer electricity is $30 + – per year. Five family processing plants cut and wrap LHT products. The plant owners work consistently on site. These are not huge factories with illegals doing the work. All are Ohio State or USDA inspected. Although some plants are a good distance from Barnesville, the travel is worth the personal quality control. Easy Transport of frozen product. All product is available at the LHT Store at 35000 Muskrat, Barnesville, Ohio. Halves of beef may be transported for up to 20 hours without thaw as a result of special packing. It is easy to transport frozen product. LHT delivery routes include areas of Cleveland, Columbus, St. Louis, Colorado Springs, Little Rock, Morgantown, Hagerstown, Tulsa, and Ft. Worth. Request details. Purchasing in volume can save the average family of 5 up to $800 per year. LHT halves are priced by hanging weight. Call for current pricing. A half beef weighs from 290 to 390 lbs. Quarters are also available for those with less storage space. 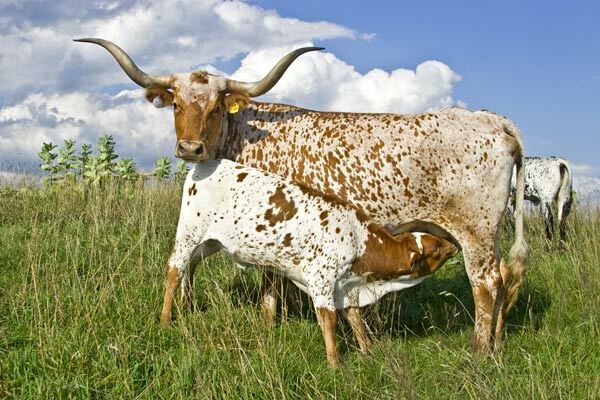 The LHT Certified Texas Longhorn Beef can be purchased from a pound to hundreds of pounds. Volume discounts are available on 50 lbs. or more. The Highest Quality, Lean & healthy. Lean grind is a full steer product including all steaks, roasts, yet removing fat trim. It is not generic scrap trimmings from over fattened feed lot steers. LHT grind averages 95% lean. There is no comparison in taste and health values for the money. LHT grass fed or heat and serve beef is tested at 1.45 grams or Omega 3 per 3 oz serving, superior to farm raised salmon. The real proof is taste and cooking qualities. Call 740 758 5050 to reserve a half for your family. Special custom cutting can be ordered in advance. Good Morning, Does your delivery area include southeast Michigan ? Please Have Rose give me an e-mail or call I need 1/2 or a whole long horn. I’m down to just a few roasts, yikes! Always pleased with the product. Please call in for current prices. Hi Teu……It was so nice to meet and talk to you on Friday. Can you give me info regarding 1/4 of a beef (what it contains) and delivery to nearest exit when you are going near Dayton. We had the burger and it was amazing…..usually if I have beef for a dinner, my joints are stiff and ache the next morning. The next morning after having your delicious burger I felt wonderful! Teu will send you an email privately. Glad to hear that our beef is kinder on your joints. Inflammation is nasty stuff. Please email me your prices of bulk meat, and approximate weight of halves, quarters. Do you have meat bundles? I see your current price on beef is $3.95 a lb. I live in Newcomerstown, Ohio. Do you deliver in this area? Thanks for your inquiry. We have beef available all the time at our store. We do not normally offer a door-to-door service on beef, but do make stops and try to accommodate our customers as much as possible. Newcomerstown is between where we are and where we get our beef processed, so you are in luck, we travel by you at least once a month. We have met with customers at the McDonalds or the Dutchess Truck Stop. We can easily do that next time we have a trip that way. HI there – is your beef 100% grass fed, or is it grain finished? Thanks! We have two separate lines of beef products. 100% grass fed from birth until death…. or grass grown and then finished. 1/2’s and 1/4’s, and all individual steaks and cuts available in our store. 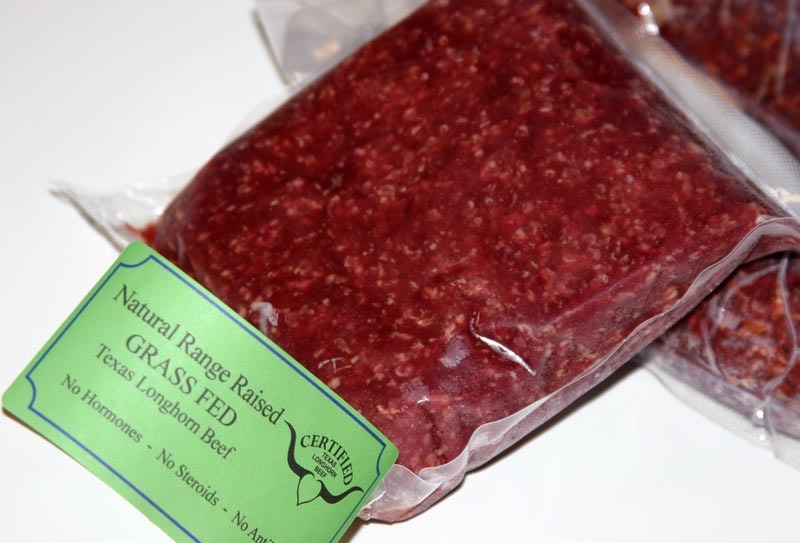 Our best seller is the 50lb Grass fed ground beef. We do not sell individual cuts of beef, halves, quarters, or bulk boxes off the website. We do not normally ship beef except by special arrangement. We do not have an in house butcher shop. 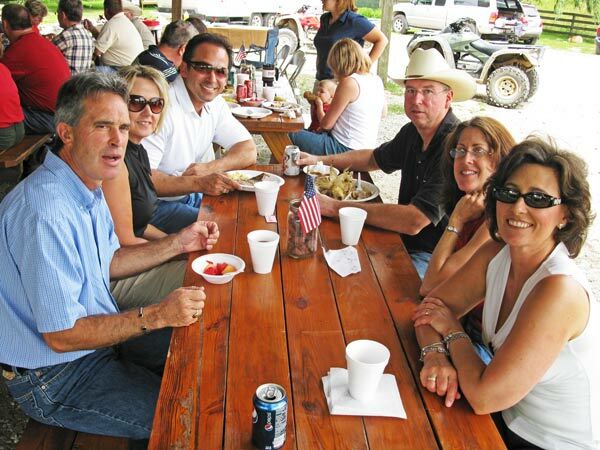 All our meat is processed, trimmed, cut & wrapped, and packaged in a USDA or Ohio inspected facility. Everything is vacuum packed and quick frozen.